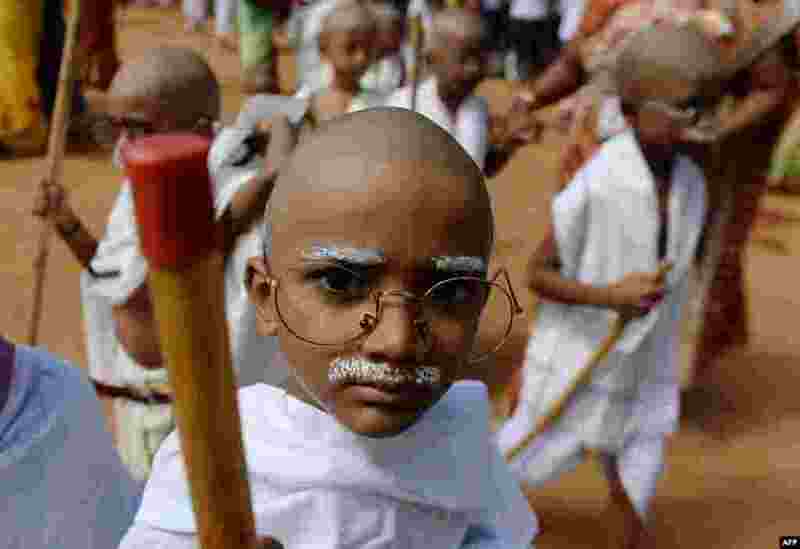 ١ Indian school children dressed like Mahatma Gandhi assemble during an event at a school in Chennai, ahead of Gandhi's birth anniversary. 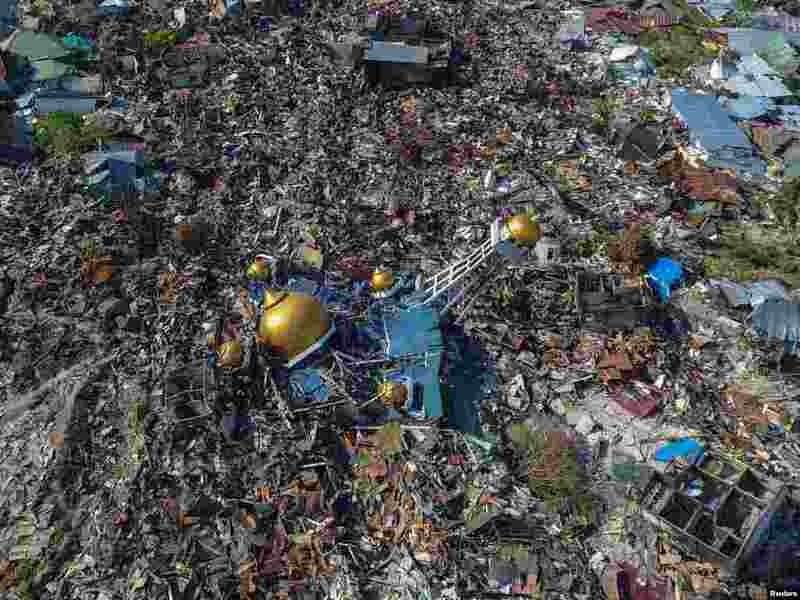 ٢ An aerial view of an area devastated by an earthquake in Palu, Central Sulawesi, Indonesia, in this photo taken by Antara Foto. 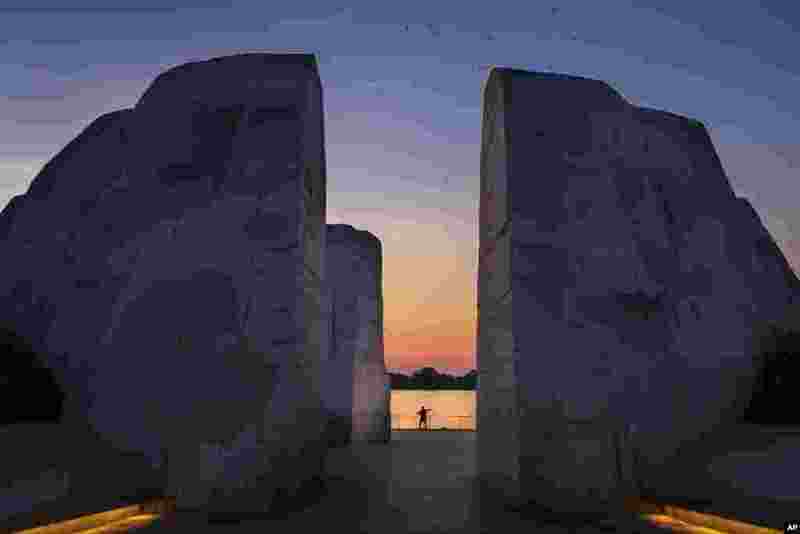 ٣ Framed in the Martin Luther King, Jr. Memorial a fisherman casts his line into the Tidal Basin at dawn in Washington. 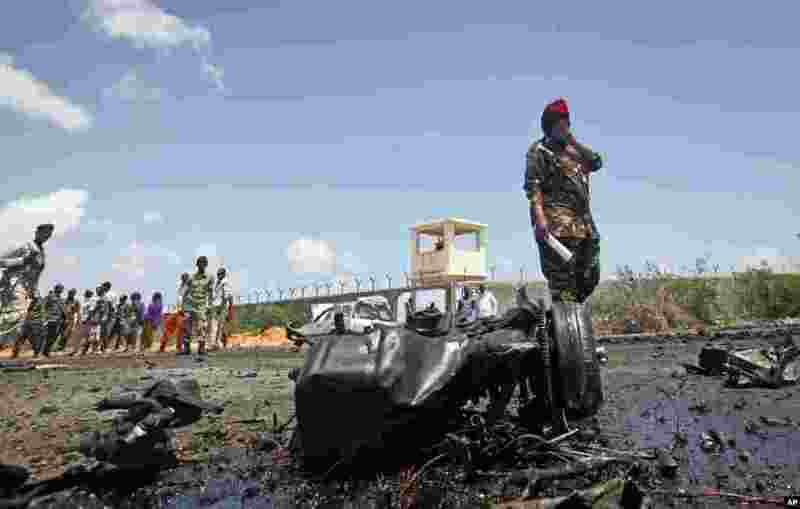 ٤ Somali security forces attend the scene after an attack on a European Union military convoy in the capital Mogadishu, Somalia.